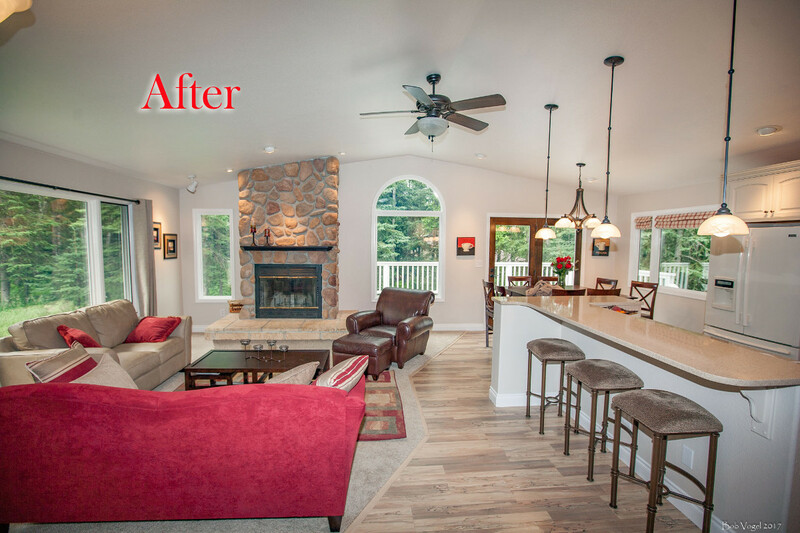 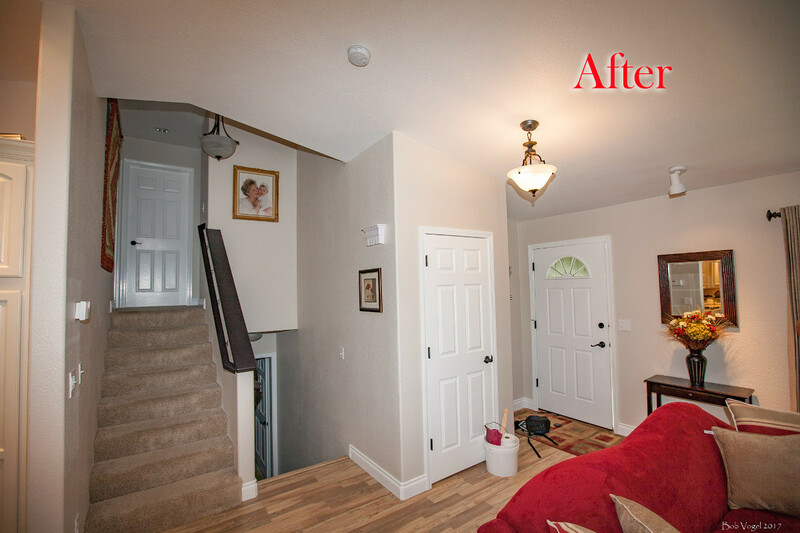 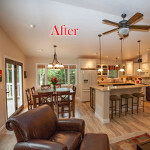 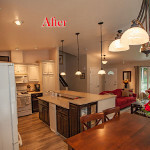 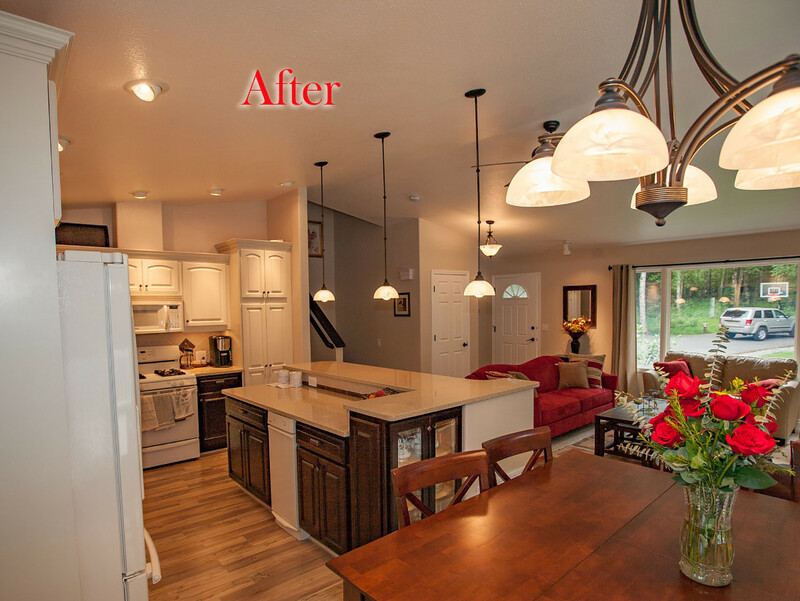 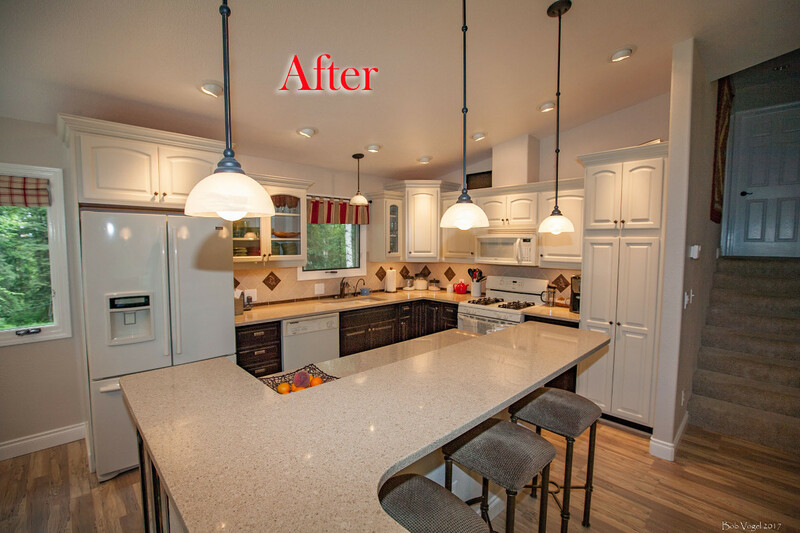 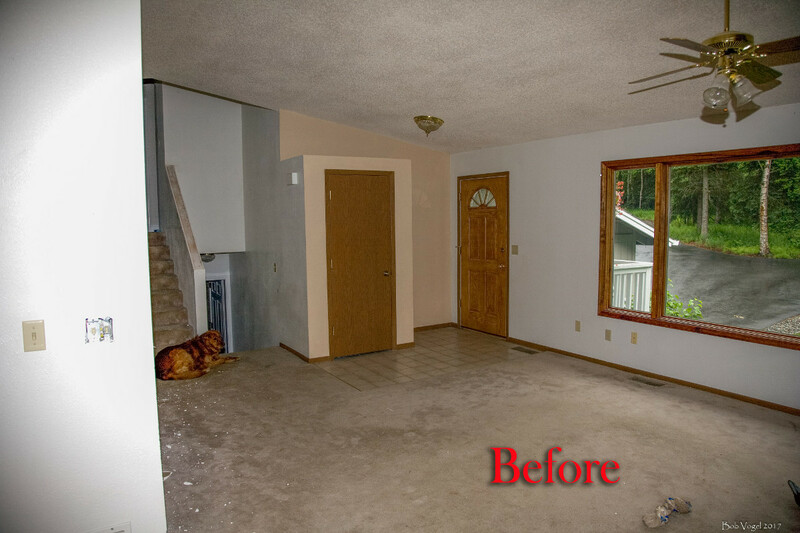 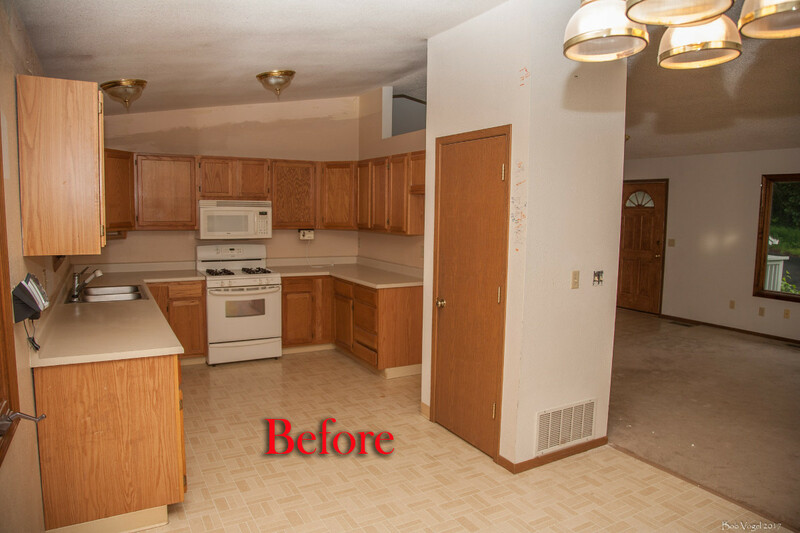 Vogel Home Improvement provides a wide array of remodeling in Anchorage and surrounding areas, and this kitchen remodeling project completed for a wonderful and active family brought a dramatic change to the enjoyment of their home. 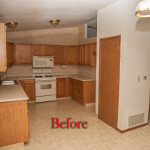 Built in the mid-1970s, this kitchen was a product of its time, blocked off from the living room by a dated partition wall. 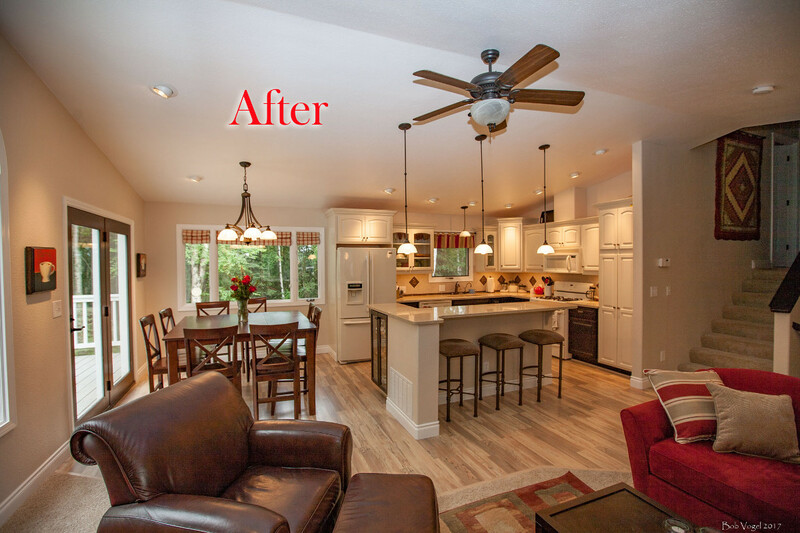 As my client enjoys entertaining, opening up the space to the rest of the living area was the entire idea behind this kitchen remodel. 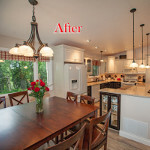 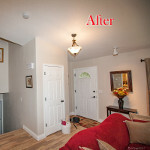 Fixtures and accouterments were also dated and the lighting inefficient with the typical center fixture casting shadows over a darkened area. 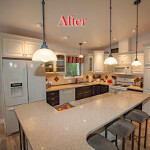 The final project result opened up and brightened the entire living space by adding recessed lighting that shines directly down on cabinet areas where it’s needed, practical under-the-cabinet task lighting for where meal preparation takes place, a breakfast bar replacing the old partition wall, and completely modernized everything with new laminate flooring throughout, an elegant porcelain tile backsplash, new cabinetry, solid surface countertop, and new fixtures and appliances. 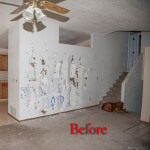 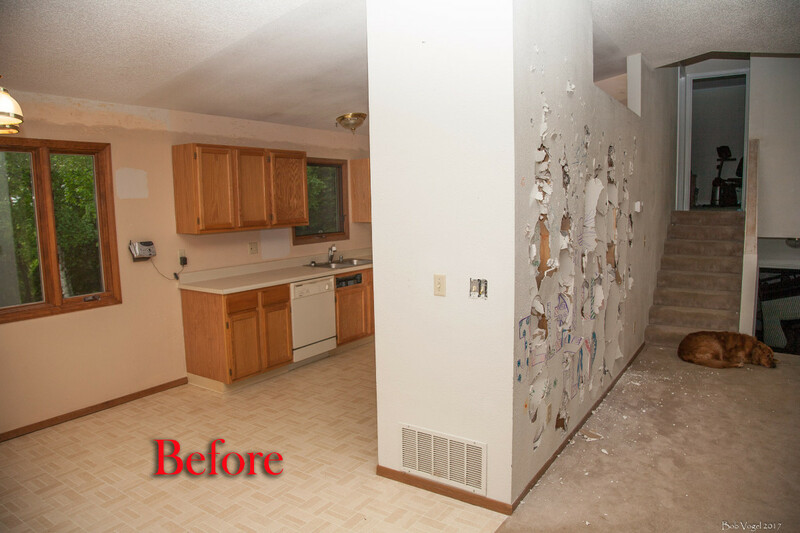 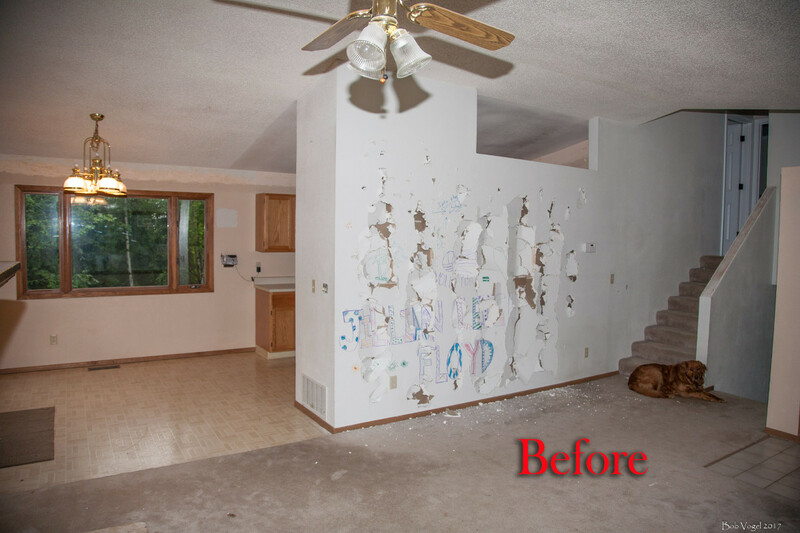 My client’s family even got involved with the demo, painting a “mural” on the sheetrock partition wall, then beating out the past with hammers! 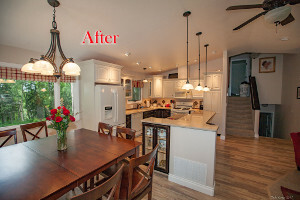 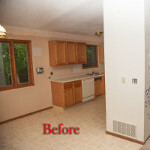 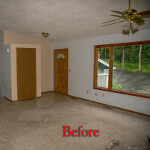 The care and personal touch can be seen in every beautiful “before & after” transition of this kitchen remodeling project.